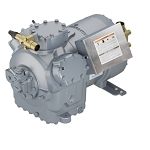 PTACSolutions.com offers a complete line of carrier HVAC parts. We want to be your one-stop shop for HVAC equipment, parts, and solutions. PTAC Solutions supplies a full line of Carrier Parts as well as other high quality Heating Ventilation and Air Conditioning parts readily available for customers nationwide. For convenience in shopping please browse the rest of our site, PTAC Solutions. From the time our founder invented the basics of modern air conditioning in 1902, Carrier has been the world leader in air conditioning, heating and refrigeration systems. Carrier is built upon a legacy of innovation and commitment. Through their market-leading products and solutions, Carrier is constantly striving to help people live more comfortable, healthy and productive lives. Across the globe and in virtually every facet of daily life, Carrier is there Continuously creating comfortable environments, regardless of the climate. They safeguard the global food supply by preserving the quality and freshness of food and beverages. Carrier also ensures health and well-being by enabling the proper transport and delivery of vital medical supplies under exacting conditions. Carrier provides solutions that maintain exceptional indoor air quality — controlling humidity, allergens and harmful pollutants. Carrier is committed to delivering exceptional products and services that meet customers’ diverse needs. Carrier is an industry leader in energy efficiency, dedicated to creating environmentally sound products and solutions that fulfill customers’ demands while preserving our precious natural resources. Headquartered in Farmington, Connecticut, USA, with approximately 30,000 employees in 170 countries, Carrier combines its global HVAC and refrigeration expertise with the responsiveness of its local operations to lead nearly every geographic market, on every continent. Their continued success is a testament to their staunch commitment to providing the highest level of quality and service to customers around the world. Qty 1 in stock please call 888-727-8007 for lead time if additional are needed. Quantity 3 in stock. Please email [email protected] or call 888-727-8007 for lead time if additional are needed.